SD Memory Card Reader-SDCBA-C01, SD Card Reader, Micro SD Card Reader - C-Ming Technology Co., LTD.
1.Allows accessing SD Card via Cardbus (32-bit PC Card) socket. 2.Ultra-fast access rate, read/write speed is up to 33 MB/s. 3.No additional driver needed under Windows. 5.Suitable for any notebooks equipped with Cardbus socket. 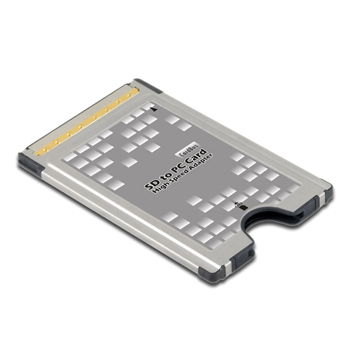 6.Alternative solution for using SD Card as a Cardbus SSD or Ready Boost drive. 7.Compatible with SDXC (SD 3.0) on Windows Vista / Windows 7.